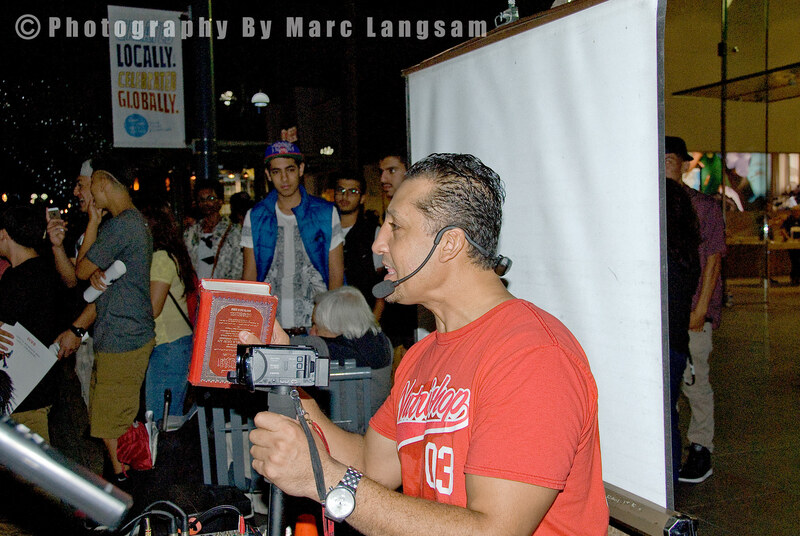 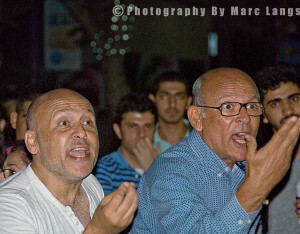 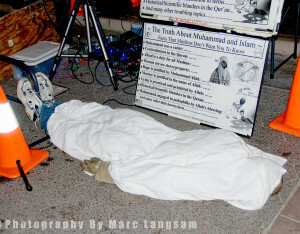 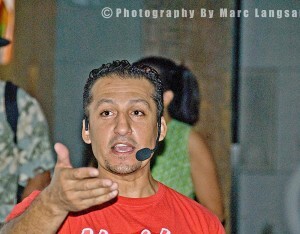 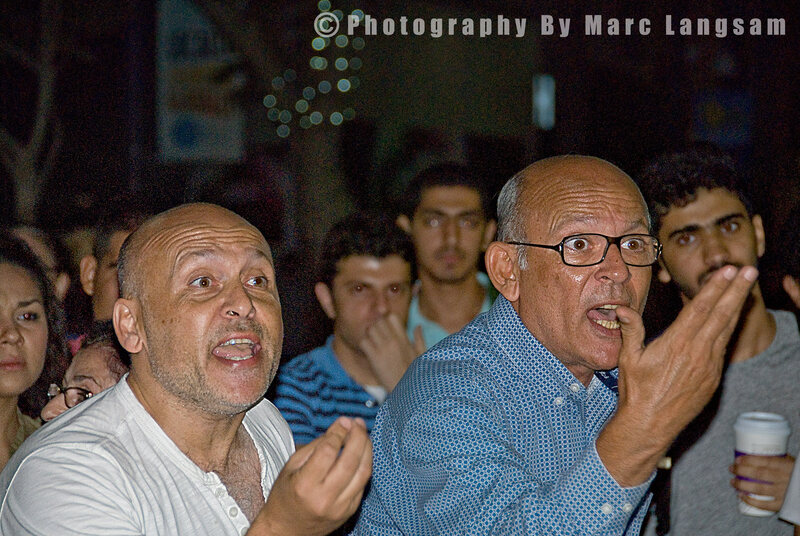 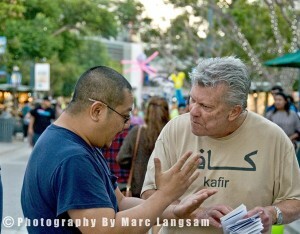 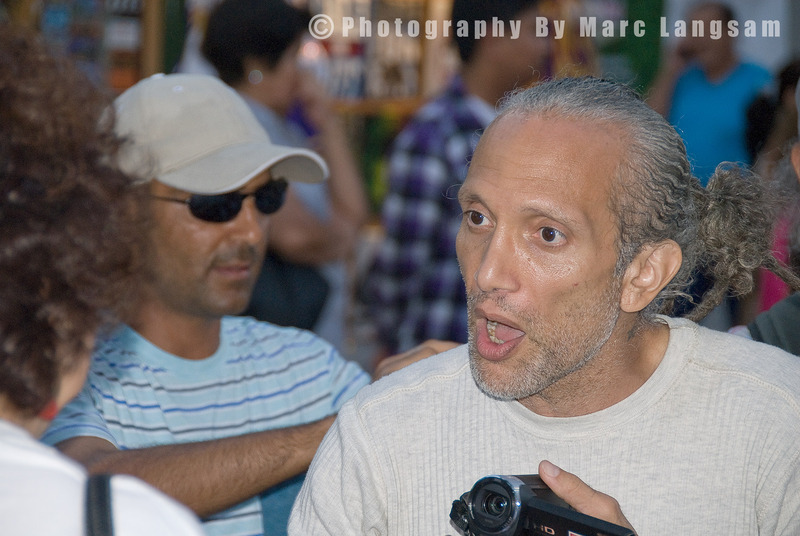 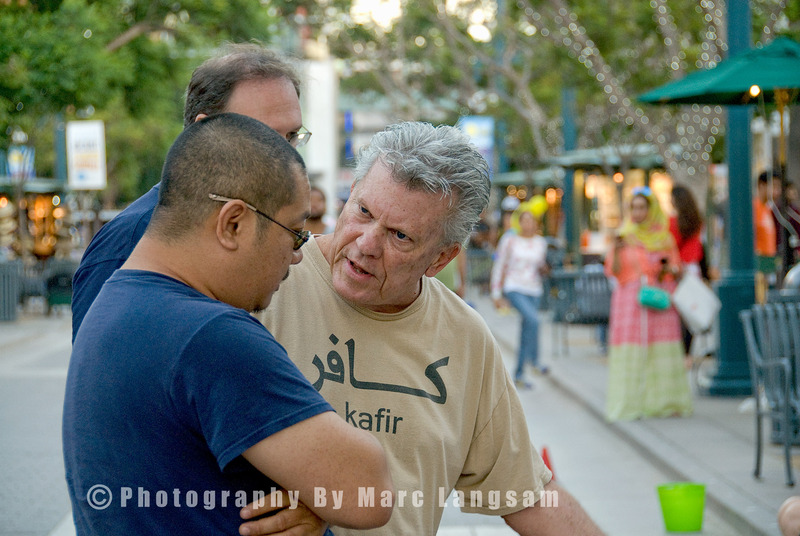 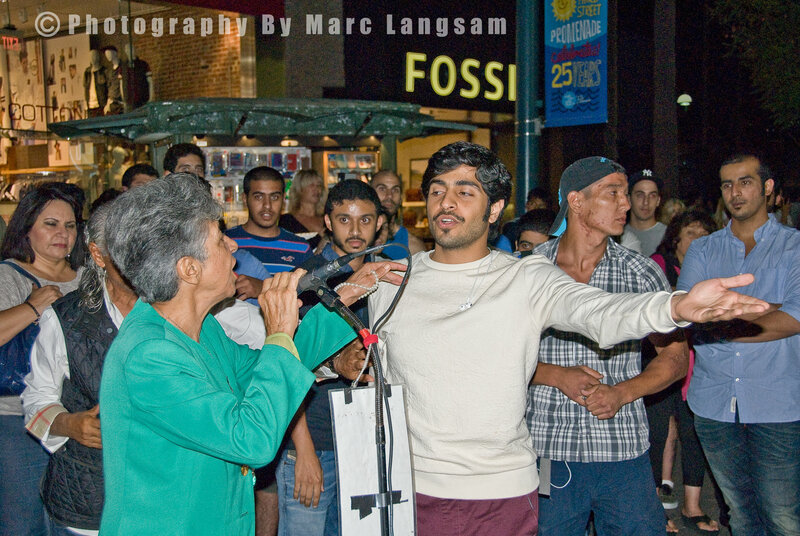 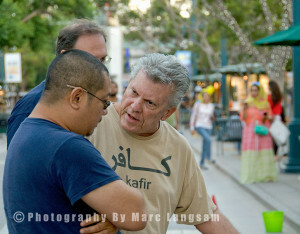 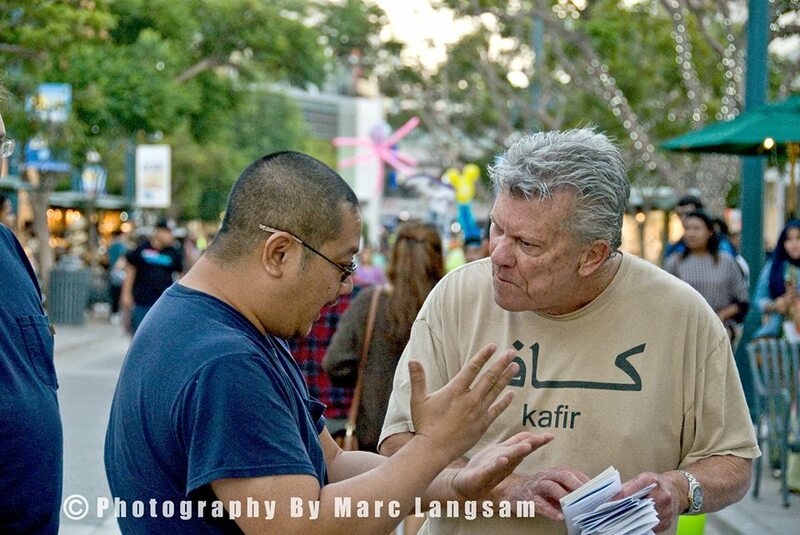 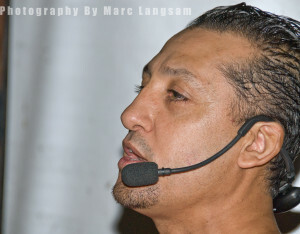 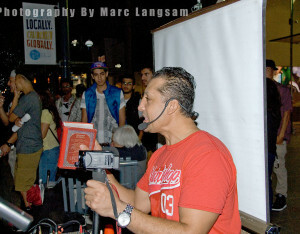 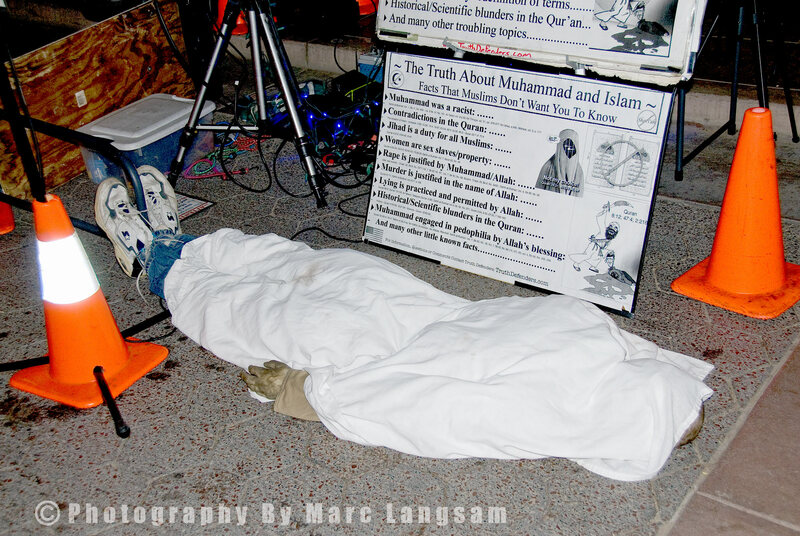 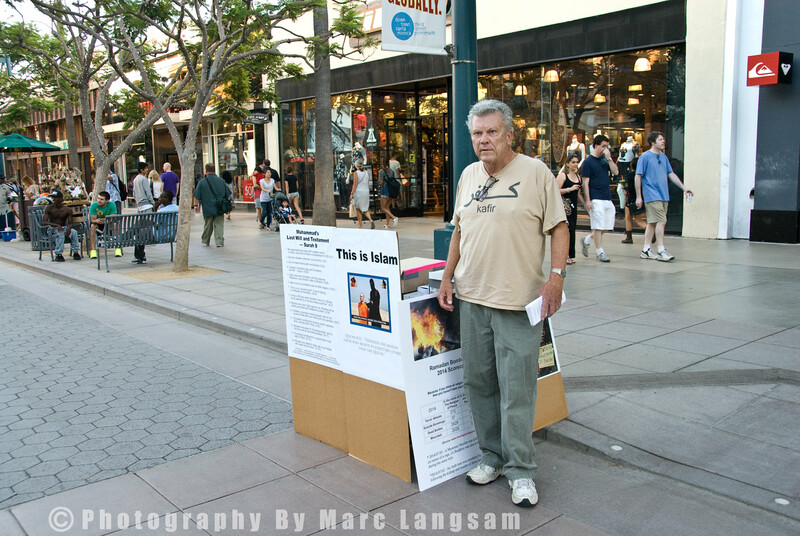 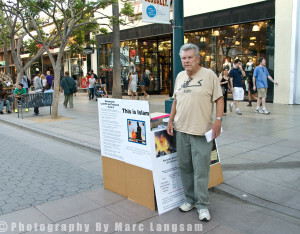 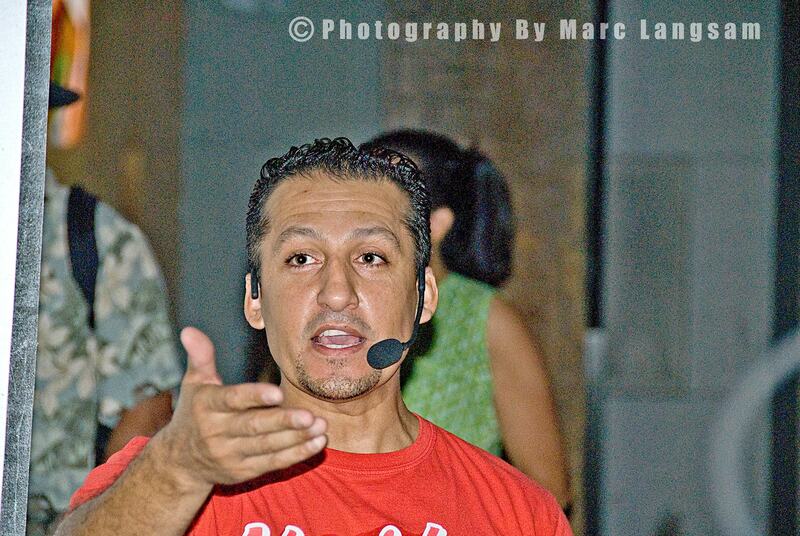 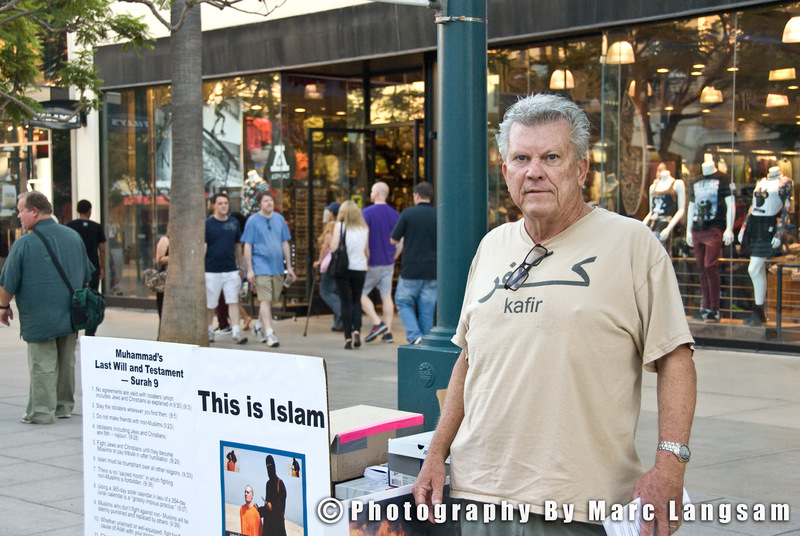 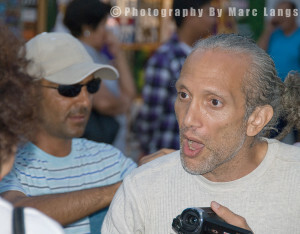 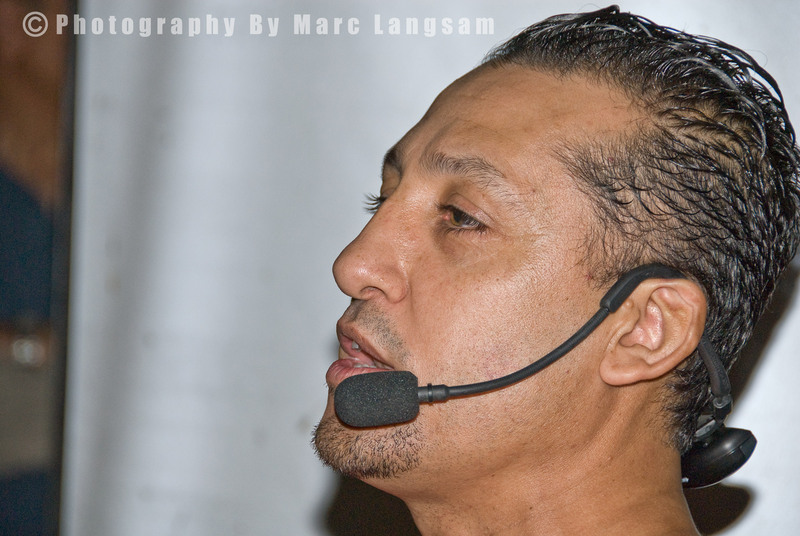 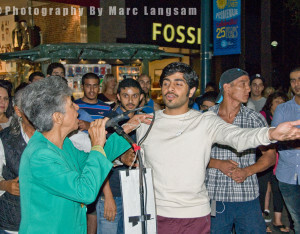 Steve Amundson, founder of Counter Jihad Coalition (CJC), on 3rd St. Promenade in Santa Monica, California; telling the truth about Islam on September 6, 2014. 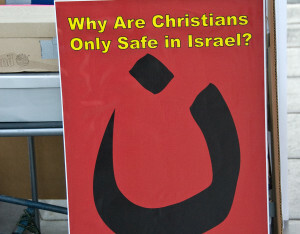 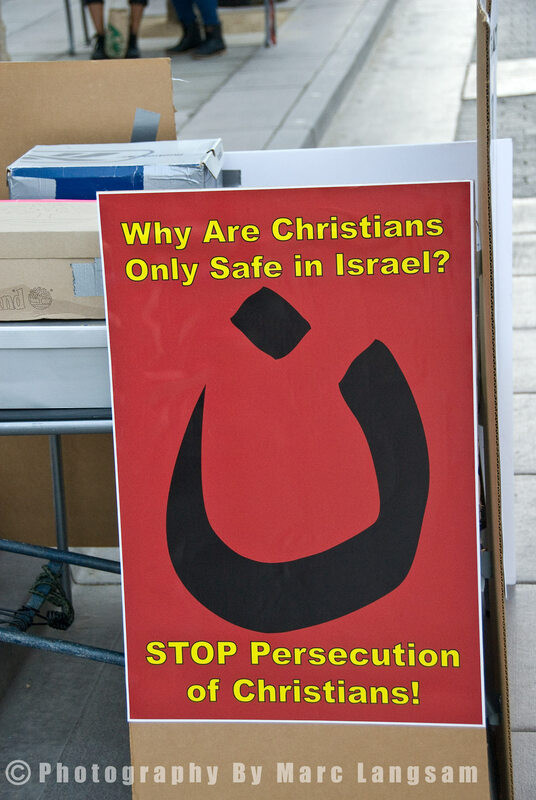 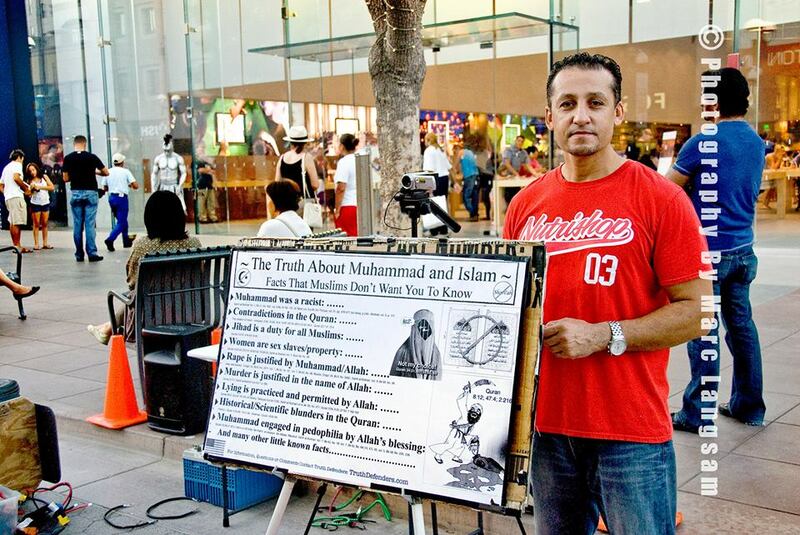 While Islam is waging a bloody battle across the entire world, instead of calling out their atrocities most of the media chooses to punish the people trying to warn the world about Islam. 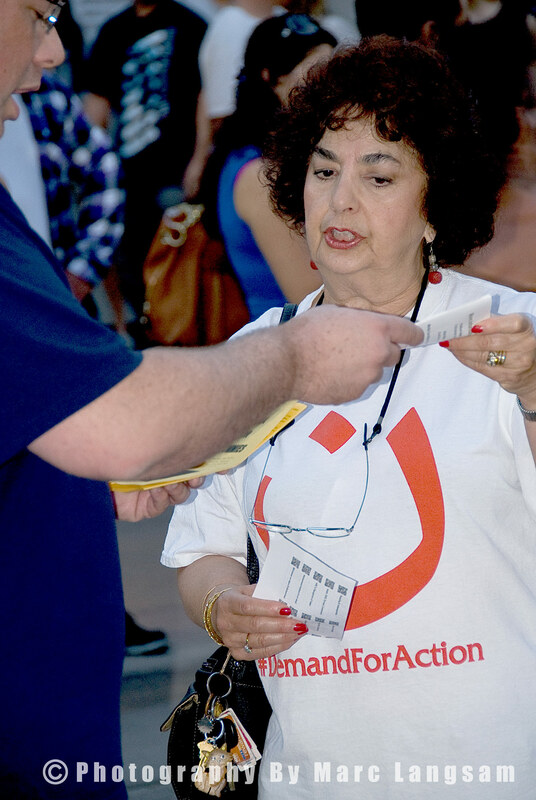 Freedom Fighters like Robert Spencer, Pamela Geller, Frank Gaffney, and Brigitte Gabriel are continuously denigrated for simply telling the truth. 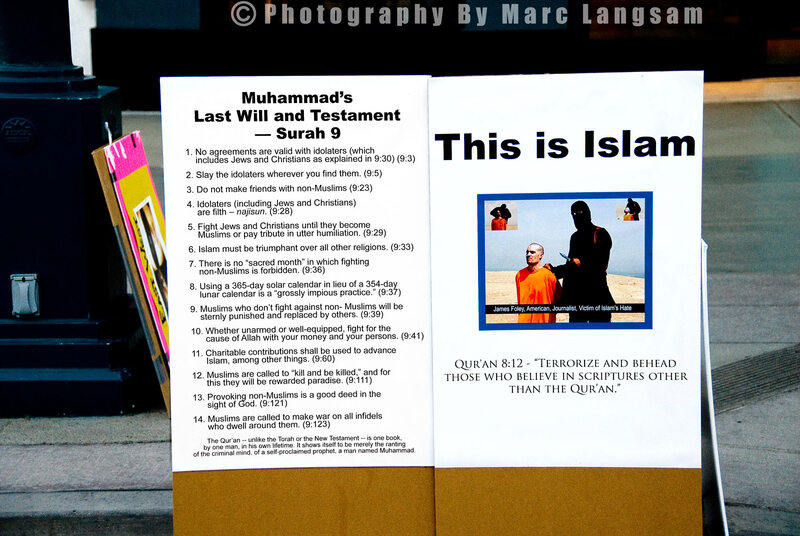 Regardless of 9/11/01 and 9/11/12, and despite the fact that Americans are being beheaded by ISIS, if you dare suggest that the Islamic State is getting their killing orders directly from the Quran you are called ‘intolerant’ and ‘Islamophobic’. 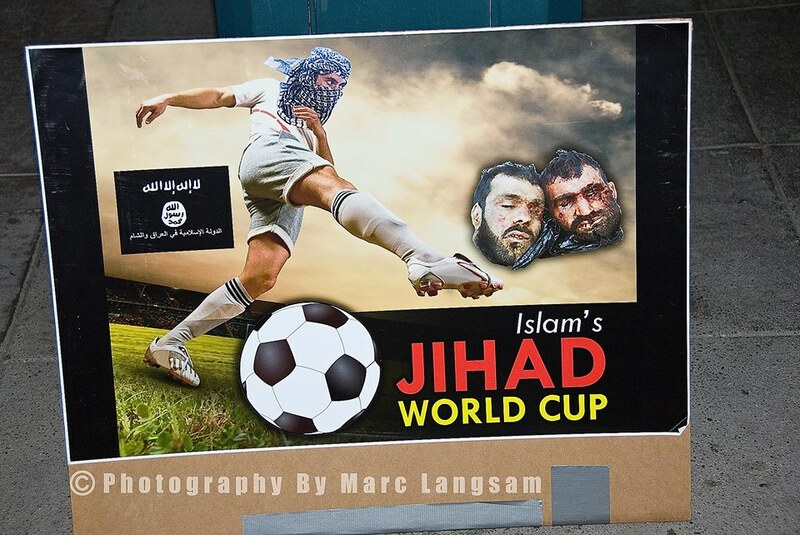 Meanwhile, ISIS is becoming more and more popular on social media and posters saying ‘ISIS is Here’ were seen in the original Ferguson riots. 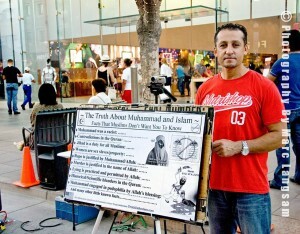 So if no one is allowed to warn people about the violence of Islam, how will we be prepared when they try to accomplish their goal of taking over America? 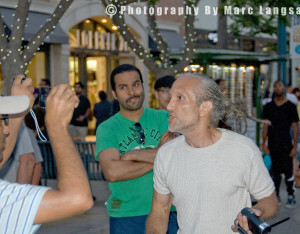 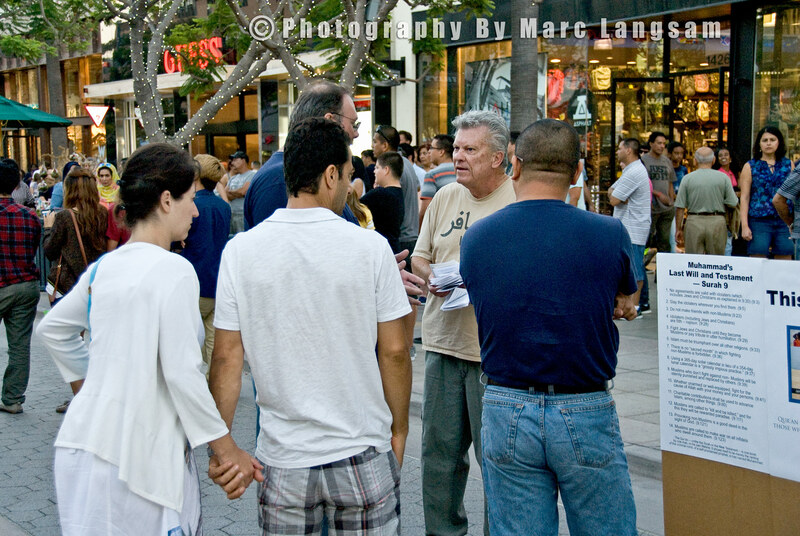 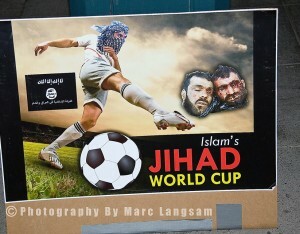 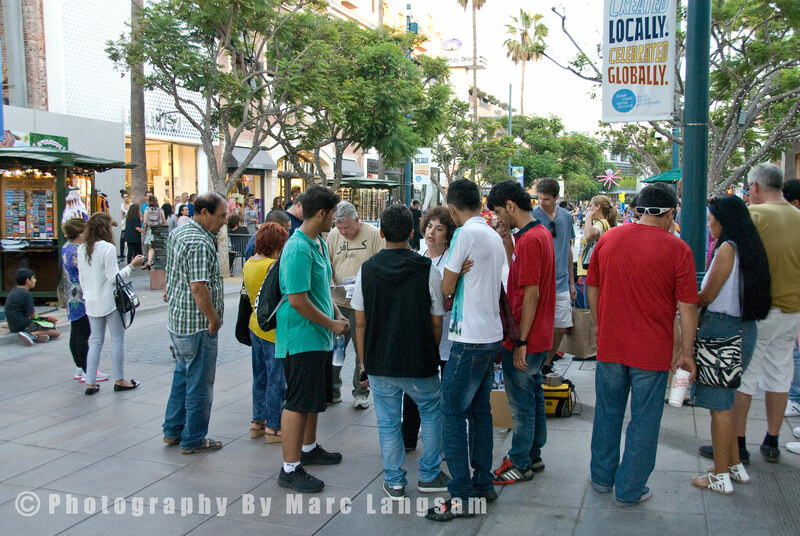 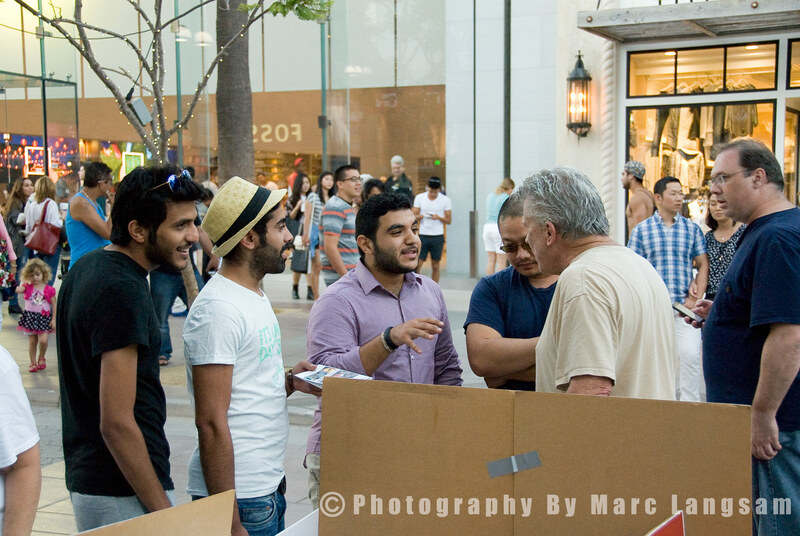 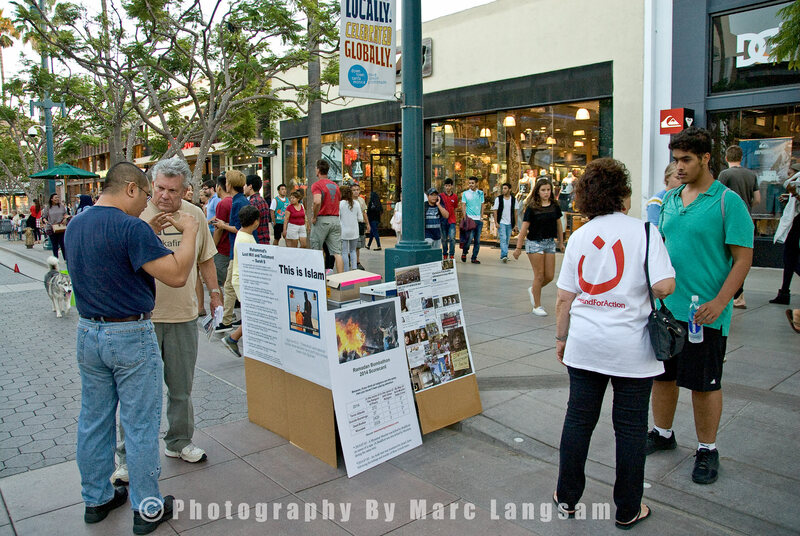 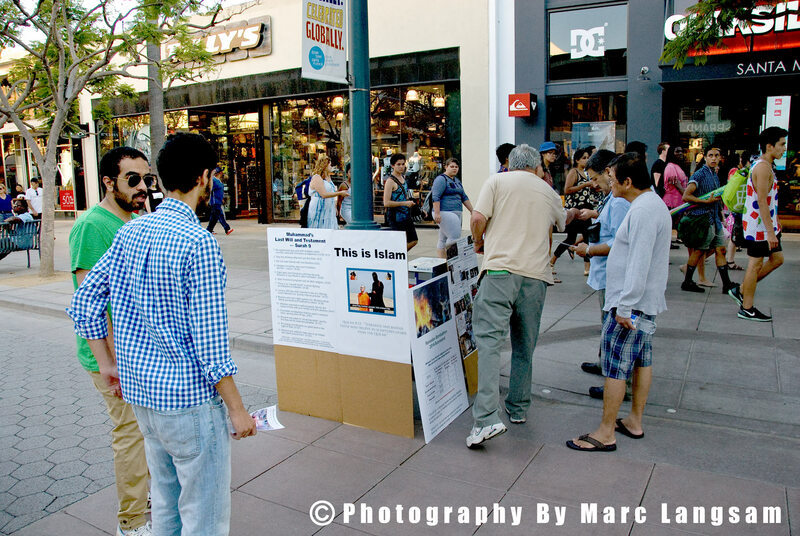 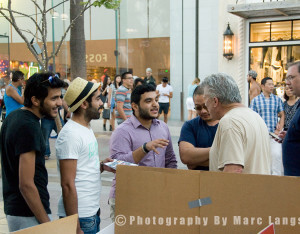 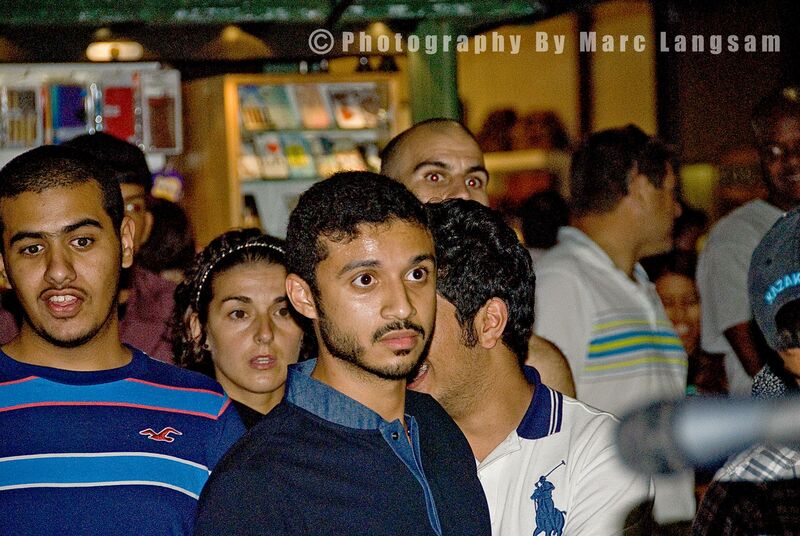 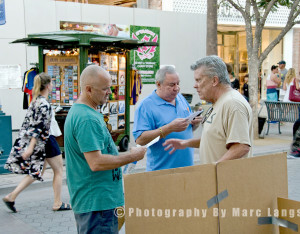 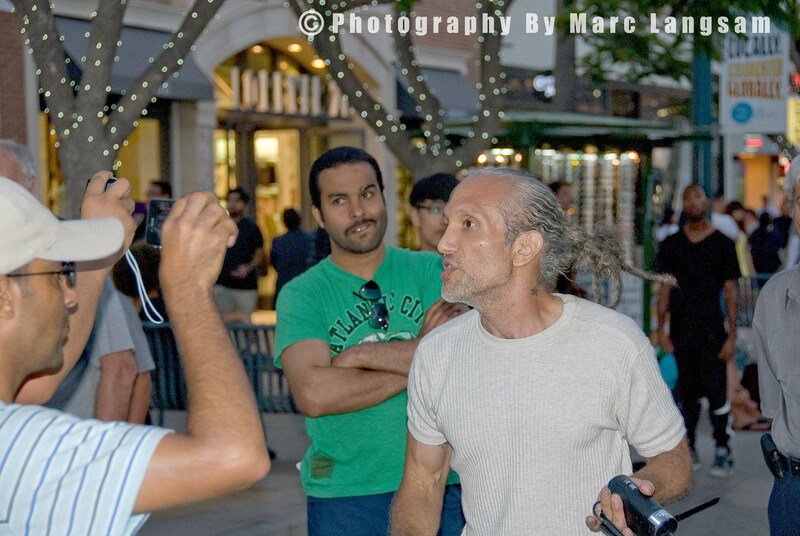 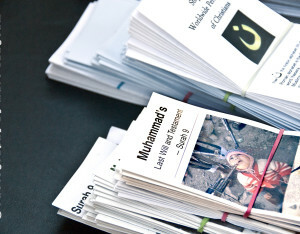 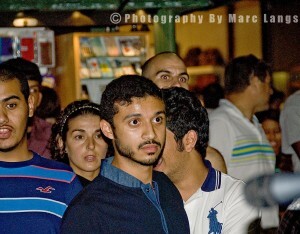 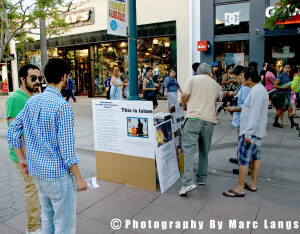 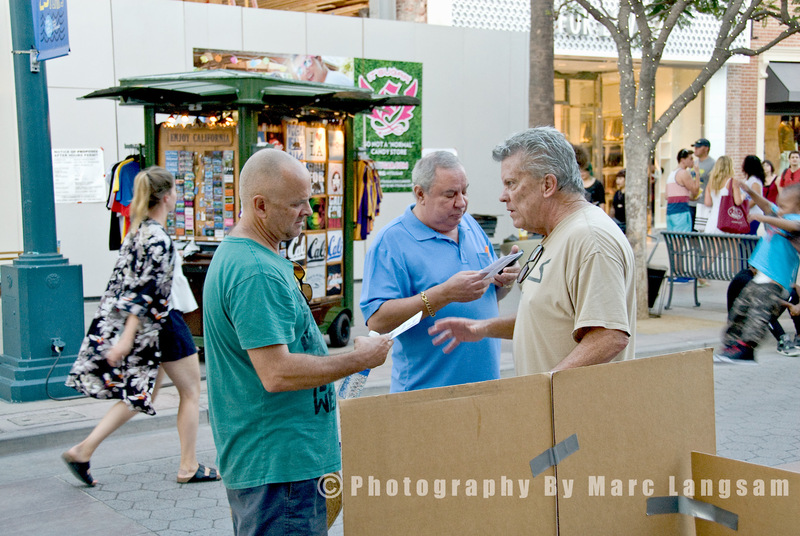 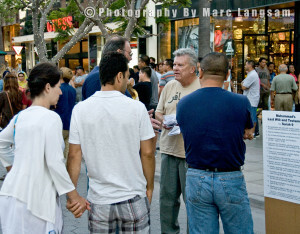 You take it to the streets–and that is exactly what a group called the Counter Jihad Coalition is doing, evangelizing at a popular outdoor mall known as the 3rd Street Promenade in Santa Monica, California. 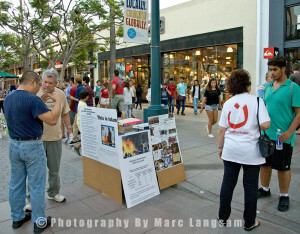 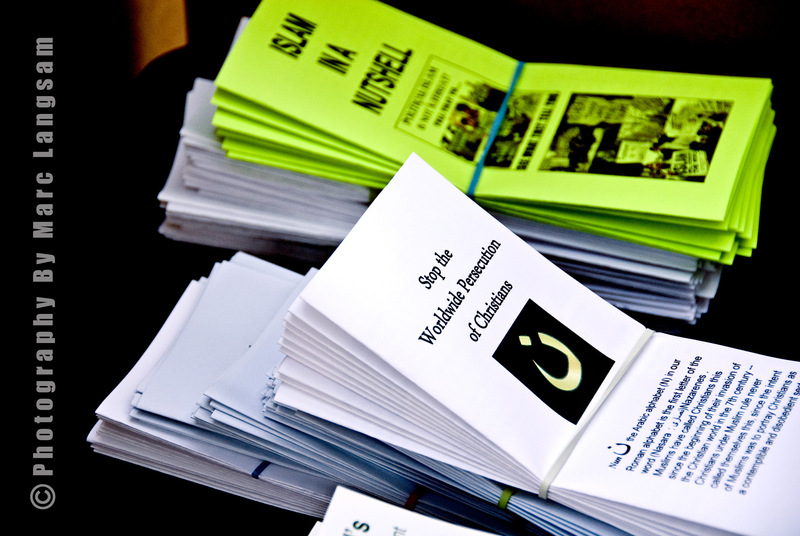 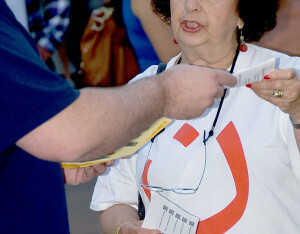 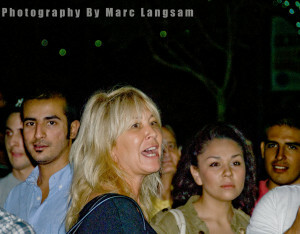 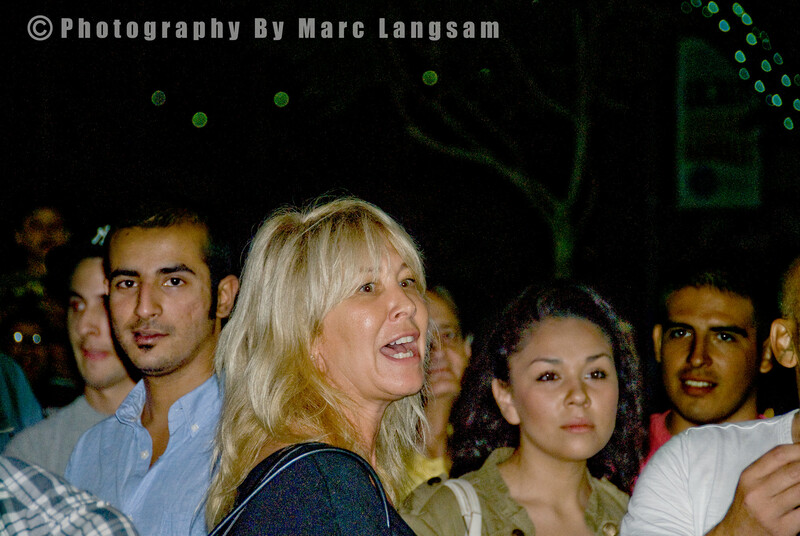 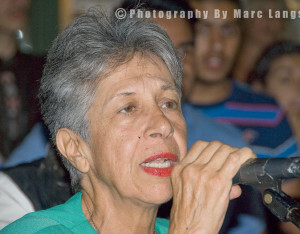 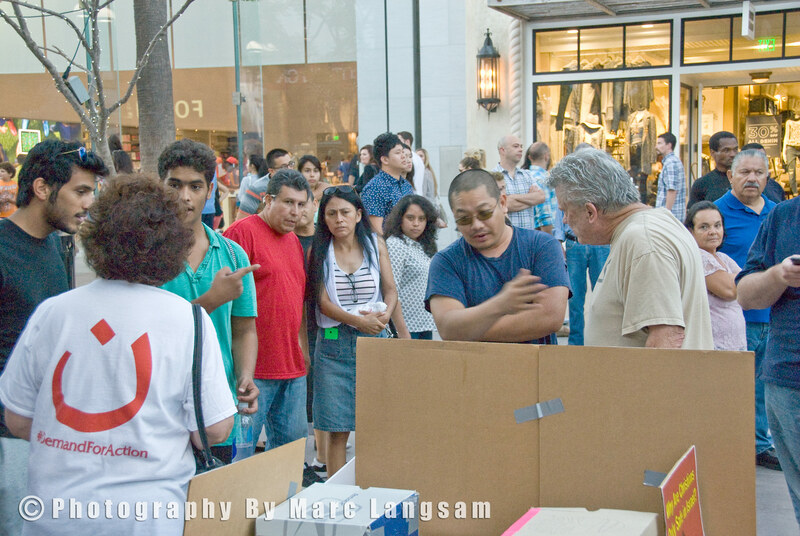 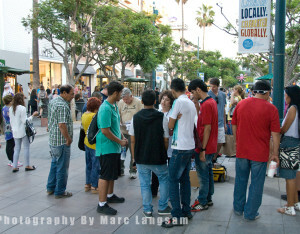 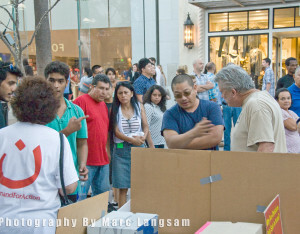 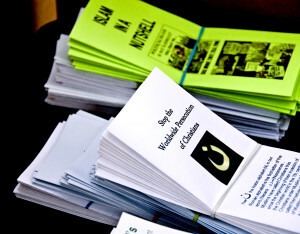 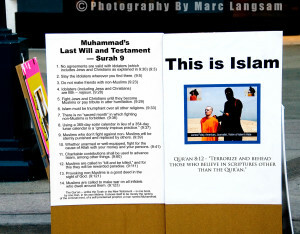 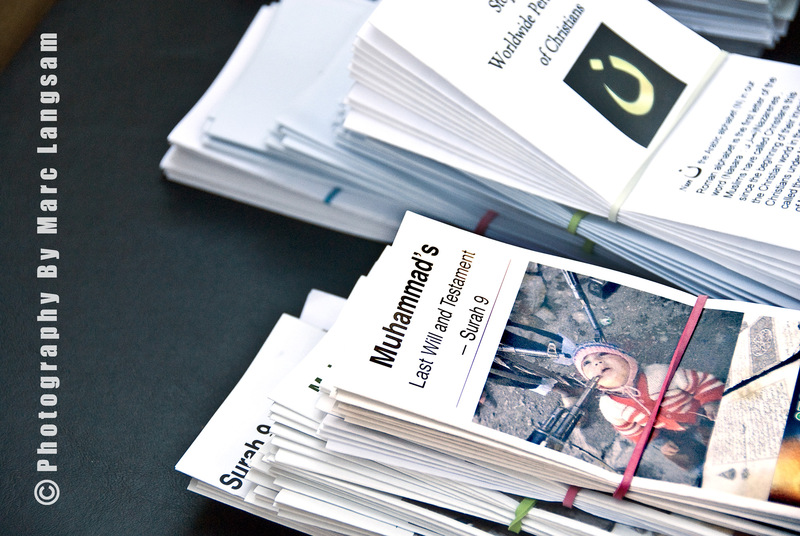 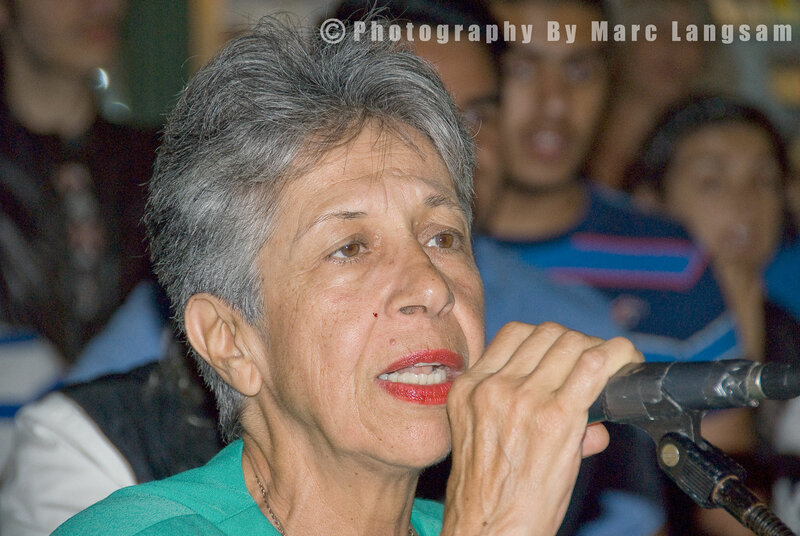 According to Samira Tamir of the LA chapter of ACT for America, the Promenade has become a very popular shopping area for Muslims in the area with bearded men and women wearing full hijabs–so each weekend, the CJC sets up a table with pamphlets and they tell people about Islam using direct quotes from the Quran. 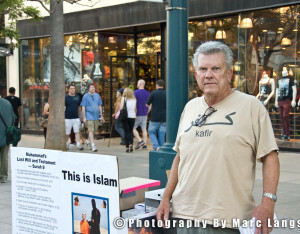 Louis Lionheart of Truth Defenders also out at the 3rd Street Promenade telling the truth about Islam, often times to a less than welcoming crowd.